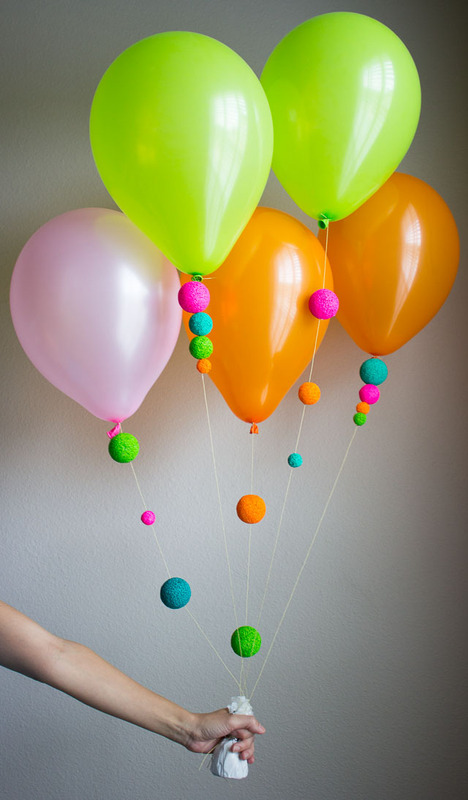 A Fun Way to Decorate Balloons! I wasn’t sure what to name these balloons, other than FUN! 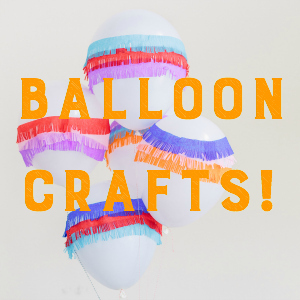 I’m typically focused on decorating the balloon itself for my balloon crafts, however today I let the string be the star of the show by adding colorful foam balls from FloraCraft Make It: Fun. I love the results! 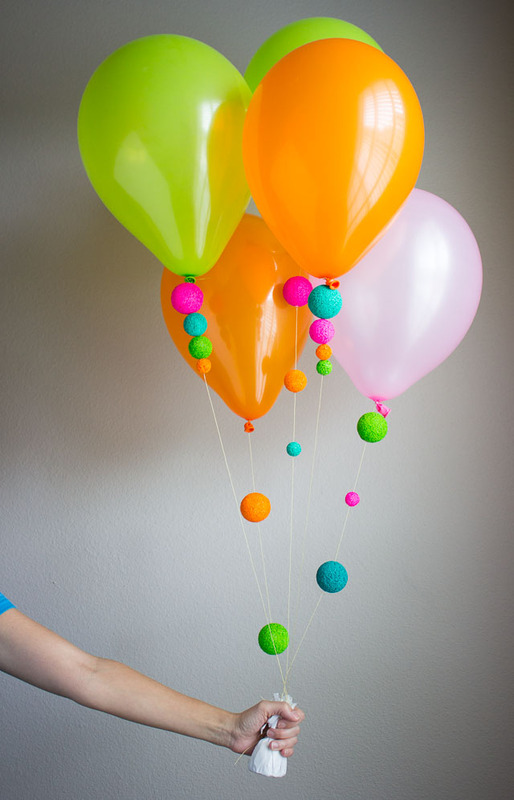 The lightweight foam balls are the perfect material for decorating the balloon without weighing it down, and they can be painted in any color you want. I chose a bright color palette perfect for summer parties. 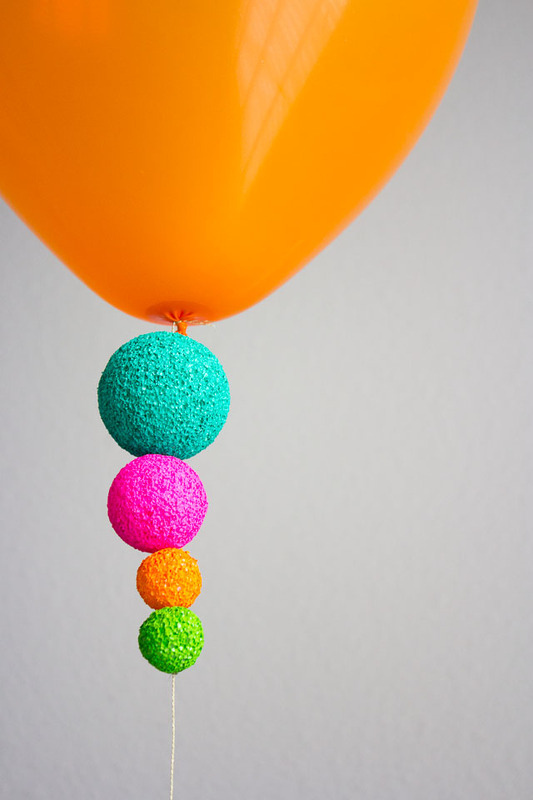 I used 3-4 foam balls per 12″ balloon. Here’s all you’ll need to make your own! 1. 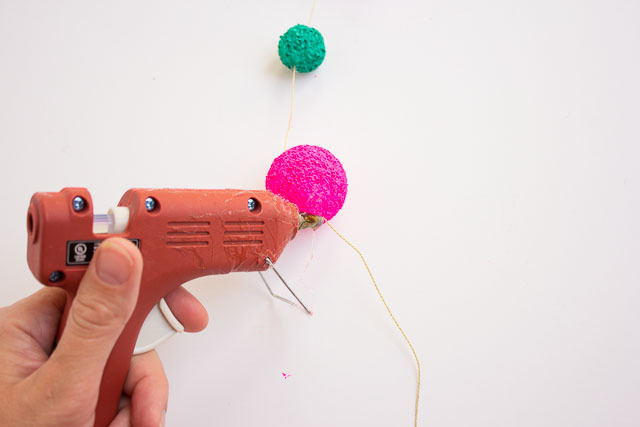 Paint your foam balls with the craft paint. I found a pouncer works great for this. If you’re doing a large number of foam balls you could also spray paint them. I would make all the balls at least a day in advance of when you plan to make the balloons so they are all ready to go! 2. 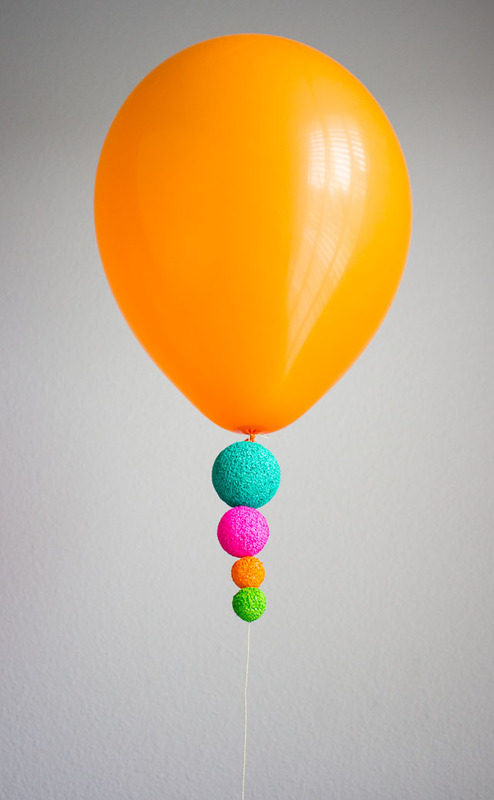 Inflate your balloons with helium and tie with string (I use a personal helium tank, but you can also have a party store inflate them and tie them with string). 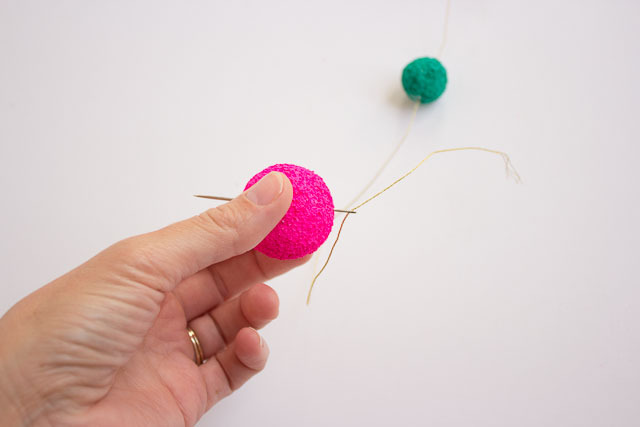 Thread the end of the string through a darning needle and push the needle through the first foam ball you want to add to the balloon. You can use a small set of pliers to pull the needle through if it gets stuck in the larger balls. 3. Position the ball where you want it on the string and add a small dab of hot glue to hold it in place and prevent it from falling down the string. I used 3-4 balls per balloon. Too many more and you will start to weigh the balloon down. As always, helium balloon projects are temporary! You can expect these balloons to look great for about 3-4 hours before they will start to weigh down. 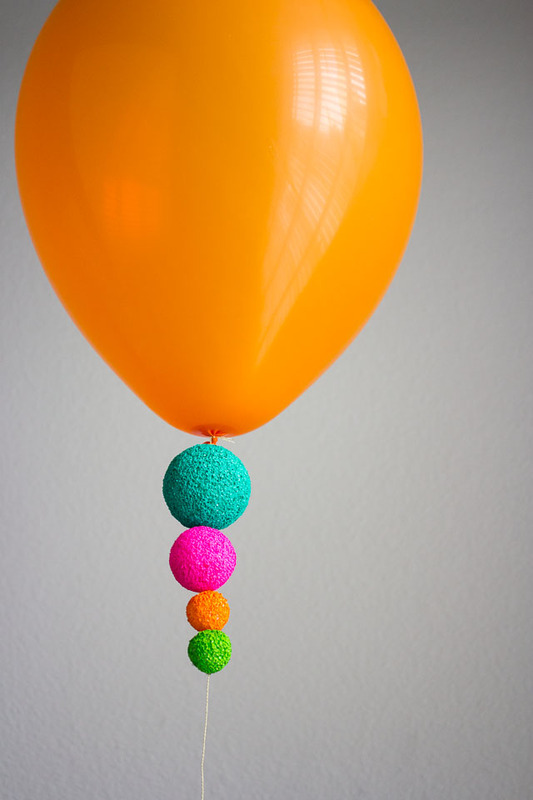 If you want them to last longer try adding Hi-Float to the balloons or using larger balloons (16″ or greater). 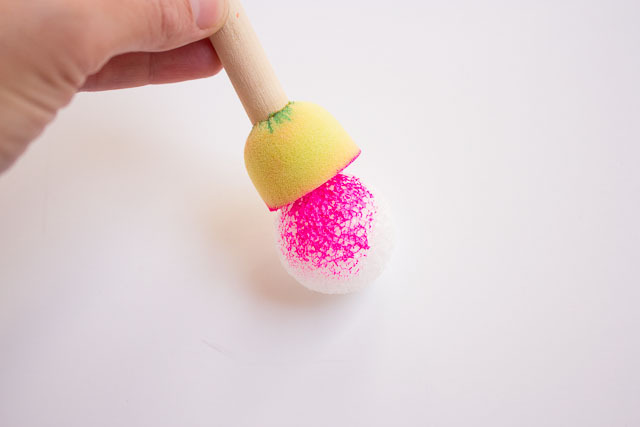 Once the balloons are done, you can always save the pretty foam balls for another project! 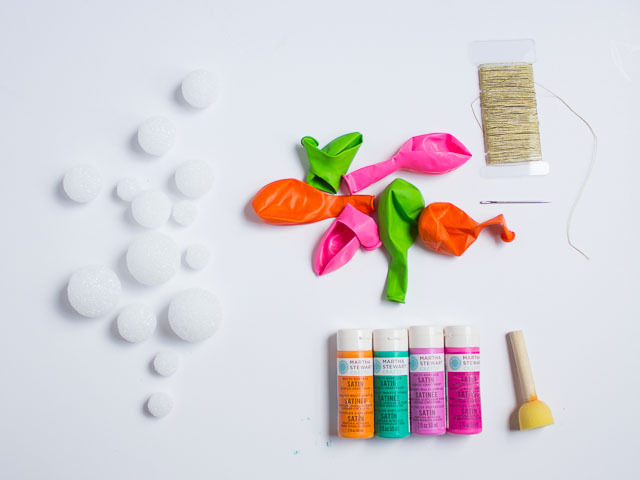 Check out these other cool crafts to make with foam balls on the Make It Fun website! This post was sponsored by FloraCraft Make It: Fun. All content and opinions are my own.